Do insurance payouts account for adjusted dealer markups? Imagine this: You were somehow lucky enough to snag the new, awesome, highly sought-after Honda Civic Type R. The day finally comes when you can pick up and bring home your new hot hatch baby. The car is ready—yourself even more so. You make your way over to the dealership, the salesman congratulates you, and you finally get to drive off in your factory-fresh Type R in all its new-car-scented, Nurburgring-crushing glory. On the way home, you're ecstatic. You marvel at the lack of torque steer. You drink in all of the semi-jealous looks you're getting from certain young males in other cars. You wonder why on earth Honda thought getting rid of the volume knob was ever a good idea. And then...BAM. 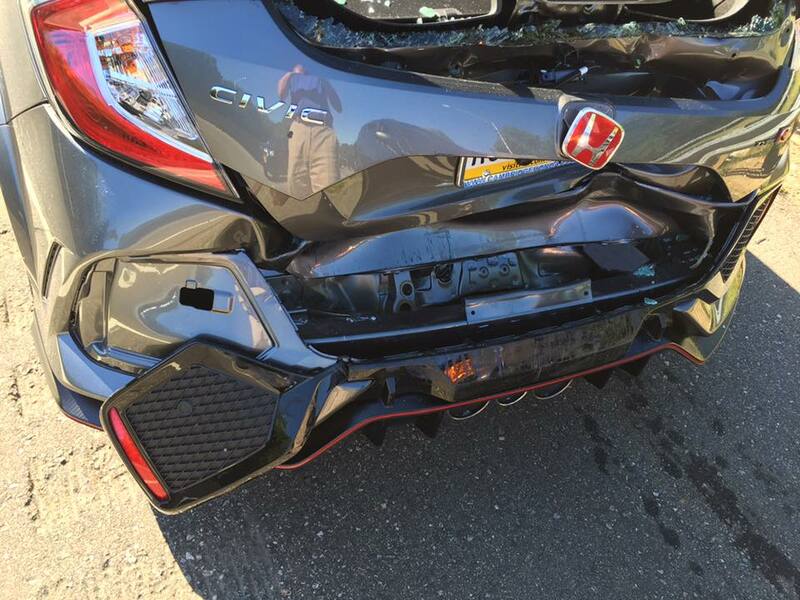 Some "jackass not paying attention" rear-ends you, sending you smashing into the car in front. Well, that's exactly what happened to one Greg Ellingson over the weekend. 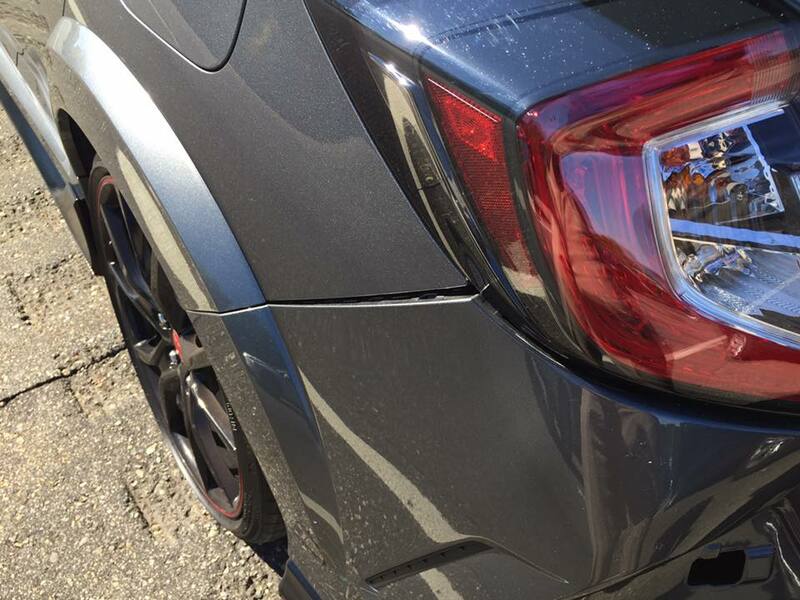 According to Jalopnik, Greg flew all the way to Boston from Philadelphia to get this Polished Metal Civic Type R, which only cost him $39,000 all-in. (For those scoffing at an almost 40-grand Civic, this may as well be a bargain compared to what some other dealers are charging.) 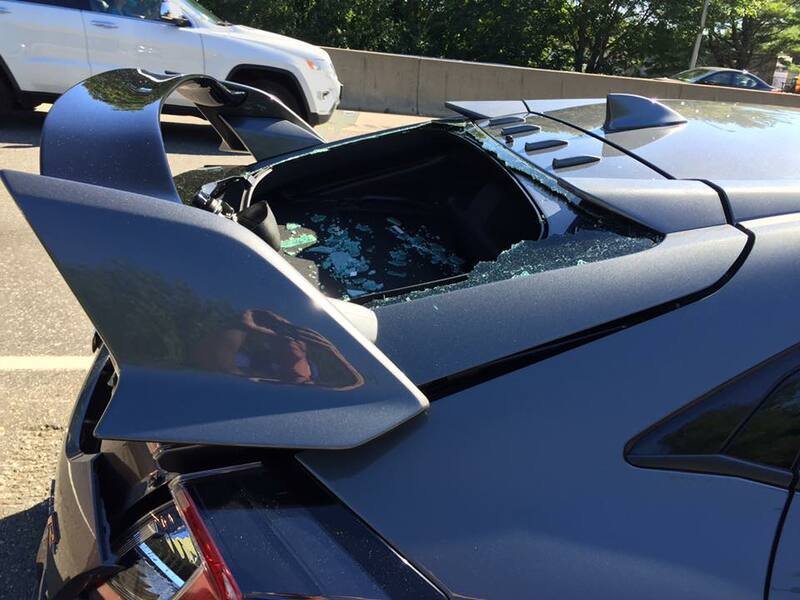 Thankfully, nobody was hurt in the accident that occurred near Guilford, Connecticut, just 150 miles into Ellingson's long drive home. “Amazingly I’m unscathed. Guy hit me going 30-35 mph. Didn’t even hit the brakes," Ellingson told Jalopnik. 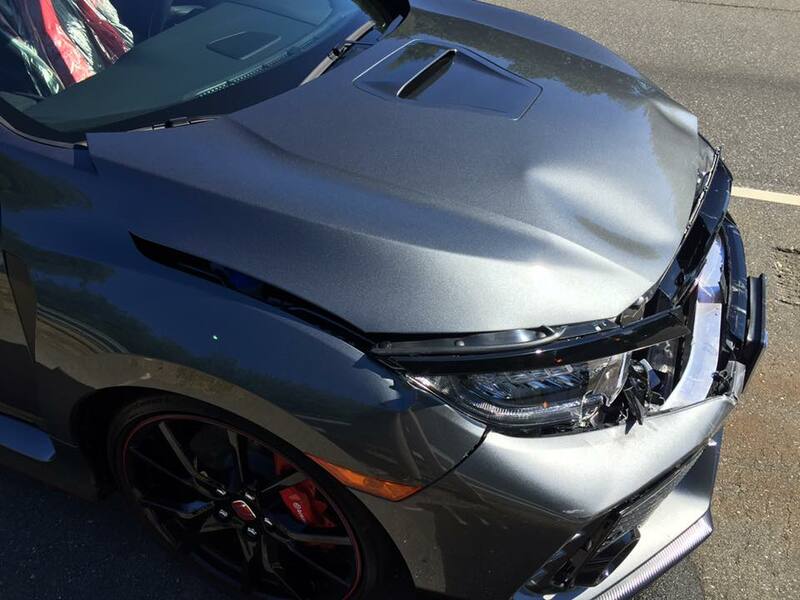 While the damage sustained does look like it's probably fixable, Ellingson hopes the insurance companies will declare it totaled so he can find a whole new Civic Type R (preferably in that cool, gray color) and start from scratch. Is it too early to call dibs on that unscathed-looking red Honda badge hanging off the back? Supercars are generally camera-worthy...but maaaaybe don't try and hang out of your truck to get a sick portrait mode video. The IIHS may want to add a "great" score to its crash test results for Tesla's electric car. Kara Rene Deans led a sheriff on a chase at speeds of more than 100 MPH.